“It’s either me or the dog,” a woman in Istanbul told her husband. The husband had brought the dog and a parrot to their apartment. The man refused to get rid of the animals. The wife then moved into her parents’ apartment and filed for divorce. She is seeking 100,000 Turkish Liras (about $22,000) and support for herself and the child. 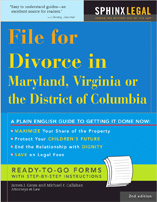 Lawmakers are slowly making divorce easier in Maryland, but you still have to file a complaint with the court and go to a hearing to get a divorce. Meanwhile, England and Wales have introduced digital divorces. Couples can apply for divorce online with a few clicks, upload supporting documents and pay court fees. China is also experimenting with a trial program on WeChat, it’s most popular instant messaging service. It now has a divorce button that allows people to make an appointment with the divorce registration office via the Internet. Eighty-five percent of workers worldwide, in an anonymous Gallup poll , said they hated their jobs. I was talking to opposing counsel last week who told me that after 30 plus years of practicing divorce law, she was going to try something else. She said that the parties were more unreasonable, lawyers were meaner and courts were harsher than when she started and she had reached the end of her patience. She asked me if I was burned out too. I told her that I wasn’t. I see my work as much more than the tasks required in any particular case. My purpose in life, the reason I am here on earth, is to help people untangle the difficulties they have gotten themselves into, solve problems and sort everything out into good order. This works for other jobs as well. My wife supervises the front office of a plastic surgery center. I told her that her purpose in life was to help people look their best, add beauty to the world and make people happier. Try reframing your job in the comments below. Divorce Affects Your Dogs, Too! When the relationship starts to break down, all the abuse at home – verbal and physical, tension, and negative emotions are felt by the whole household, including your dogs! Divorce is a stressful and painful process. All the changes at home resulting in the absence of one parent can be unsettling and negatively affects your dogs. Remember that time both of you were giddy to get a dog as a “practice baby”? You both decided to take the responsibility of raising the dog to be part of the family. When the relationship ends up in divorce, some irresponsible pet parents abandon the dog because no one wants to take custody of it. Long-term absence of one or both pet parents can lead to separation anxiety and canine depression. Because of this, your dog may exhibit unusual behaviors such as loss of appetite due to anxiety, lethargy, anxiety, and even aggression. Even if both of you decide to share custody of your dog, the changes in the house and the habits your dog is used to still have an effect on the physical and mental well being of your dog. Divorce disrupts the life of both your kids and dogs. Huge adjustments in the routine or schedule should be made. It would take some time for your beloved pet to get used to the new schedule of feeding, playing, and walking. Your dog’s schedule changes weekly because of transferring homes to be with the other parent. Divorce will either drive one of you to move to a new home or both of you to move to a different state. The strange environment may confuse your dog and cause anxiety. Your relationship may be hopeless, but you can still improve your dog’s condition and help it cope with divorce. If you notice a loss of appetite, try to change your dog’s diet by feeding them healthy, nutritious dog food. Coordinate schedules with your ex and retrain your dog if you must to establish consistency. This guide explains how to fix ten common dog behavior problems. According to experts, separation anxiety can actually be avoided. If you and your partner trained your dog to get used to being alone without panicking or showing aggression while you are gone, chances are, your dog will be fine with your absence. Do not worry. Things will eventually get better. If it doesn’t get better; you can always seek the help of your veterinary doctor or a behaviorist. If you need help to cope with your divorce, your dog needs help, too. You can both get through this rough patch in your life together, and be stronger. Your love for your spouse may have changed, but hopefully, your love for the rest of the family, including your dogs, never stops. http://tgclawyers.com/wp-content/uploads/2018/05/tgc-logo-1.png 0 0 Guest Post http://tgclawyers.com/wp-content/uploads/2018/05/tgc-logo-1.png Guest Post2018-05-04 11:52:152018-10-02 17:43:57Divorce Affects Your Dogs, Too! But Judge, I Won’t Make That Much Next Year! Jason Soprovich, a real estate agent in Canada, married Monica Thiessen 17 years ago. Jason was very successful and they lived a luxurious lifestyle during those 17 years. They were members of expensive country clubs, and their children have always gone to private school. The family took annual trips to Hawaii, Las Vegas and Los Angeles. Jason’s real estate firm made more than $13 million over the last seven years and earned almost $3 million in 2016. Then the parties separated and filed for divorce. You guessed it. In 2017, Jason made $1 million. Jason argued “that the real estate market slowed down from 2016 to 2017 and is likely to slow further down in 2018.” The decline was a result of government regulation, taxes and higher interest rates he told the court. She ordered Jason to pay $12,318 a month in interim child support and $22,960 in spousal support while the couple tries to work out a settlement. http://tgclawyers.com/wp-content/uploads/2018/05/tgc-logo-1.png 0 0 James J. Gross http://tgclawyers.com/wp-content/uploads/2018/05/tgc-logo-1.png James J. Gross2018-04-27 16:31:592018-05-23 19:29:36But Judge, I Won’t Make That Much Next Year!